Notes is a great place to share with your visitors the key information about your service. 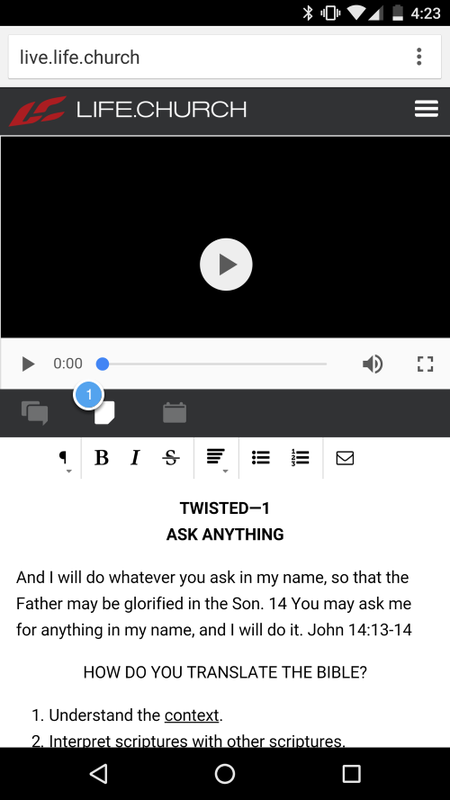 You can add sermon notes, community notes, church updates, and more. The notes area can be formated and hyperlinks added. 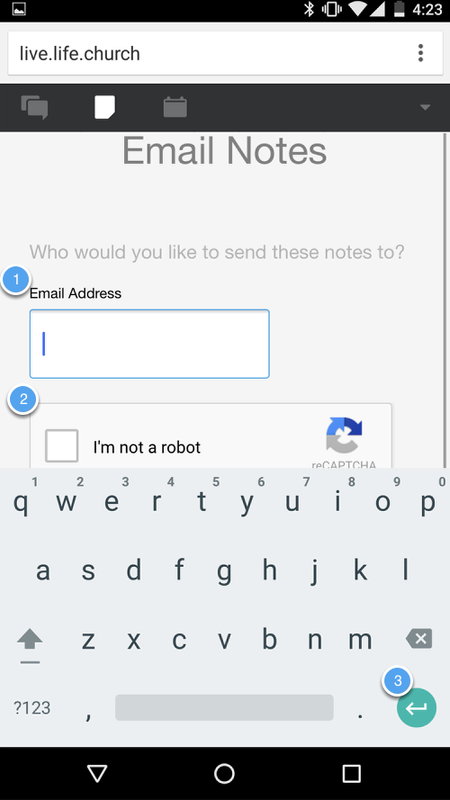 On mobile, visitors are able to quickly and easily access Notes. Visitors can then edit and even email those notes to themsleves. 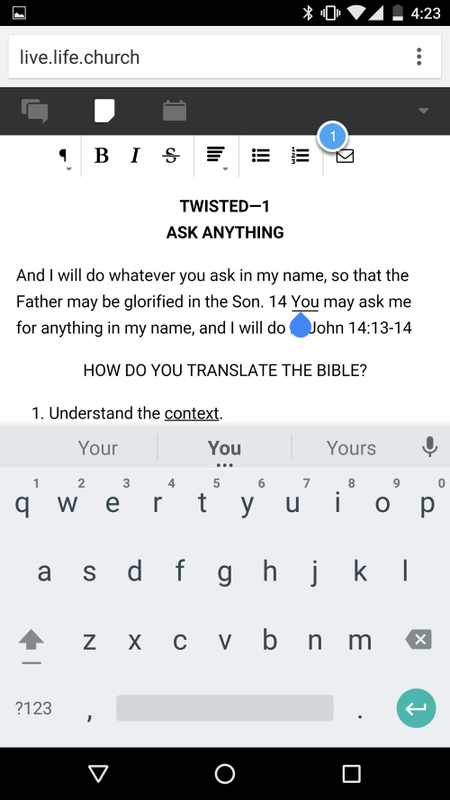 To access notes on mobile, simply click the "notes" icon on your Android device. In the notes area, visitors can see any custom content that was added by your organization (this can be set up in your "Events" area in the admin). They can also add, remove, and edit the content. If they choose, visitors can also email this content to themselves for later use. When prompted, they will simply (1) add an email and (2) let us know they are human :).